Class 3 Blue Blog 18-19Sprinkle Kindness Wherever we go! 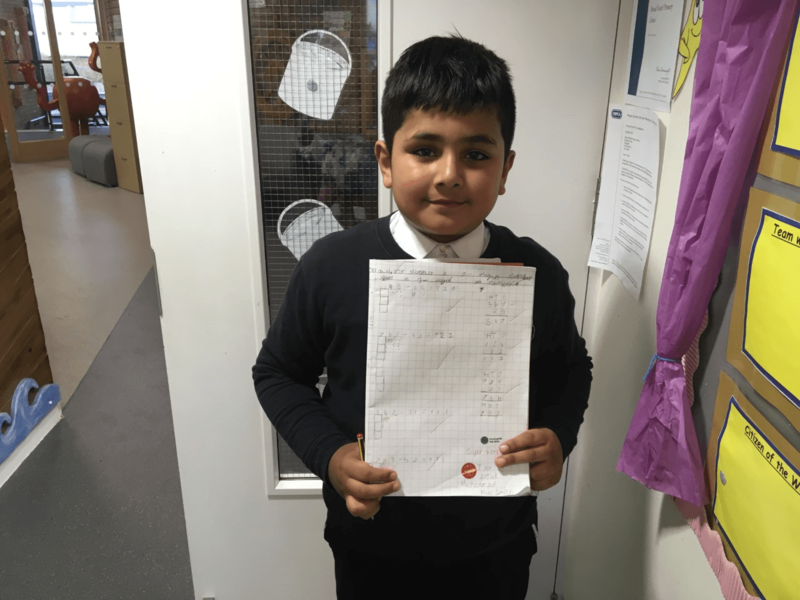 Well done to Muhammad for completing his Maths works independently. Muhammad was able to complete his work by subtracting 2 digit numbers from 3 digit numbers. He showed his jottings and presented his work beautifully. Keep up the good work Muhammad! This entry was posted in Class 3 Blue Blog 18-19. Bookmark the permalink. Well done Muhammad I knew you could do it! Keep the great work up! I want you to try your best and do this everyday! Wel done Muhammad it’s all happend with the great help of head teacher and teachers.I am very thankful to all of you. It is great to see him getting better every week. If we all work together we can achieve great things and THANK YOU for the message. Really pleased Muhammad on pushing yourself. You are doing very well, I knew you could do it!